Here at Boho you may well have realised that we are BIG fans of Revelry. 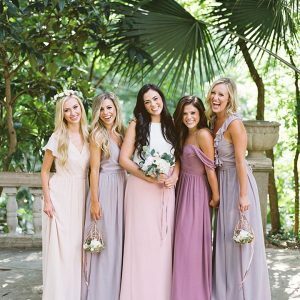 In case you didn’t know Revelry are an on-line store selling the cutest, swoon worthy bridesmaids outfits in a selection of sequins, chiffon and tulle. Not only dresses but separates and playsuits too. 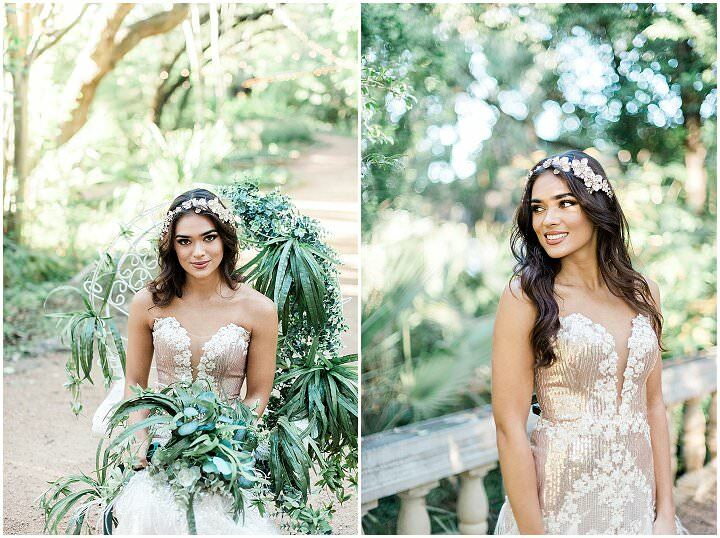 However, after a long and anticipated wait, they have now launched their first collection of stunning bridal wear, and I am delighted to have one of the first shows of this fabulous collection. 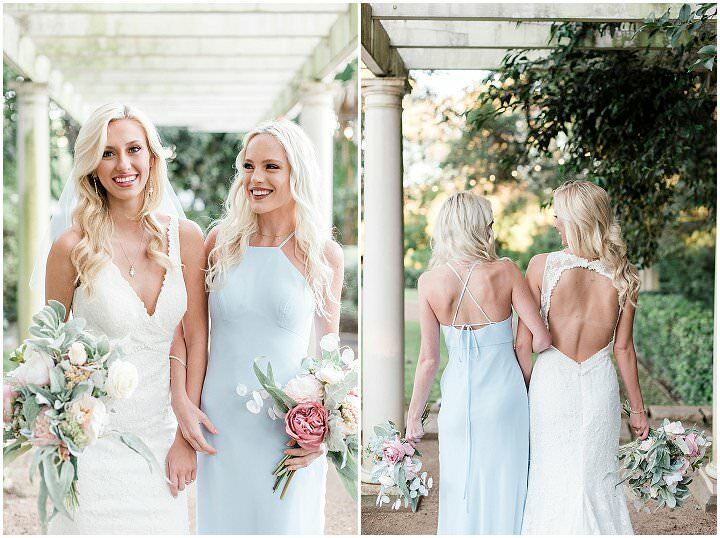 The collection is super stylish, inclusive of size and colour and really does have something for everyone! 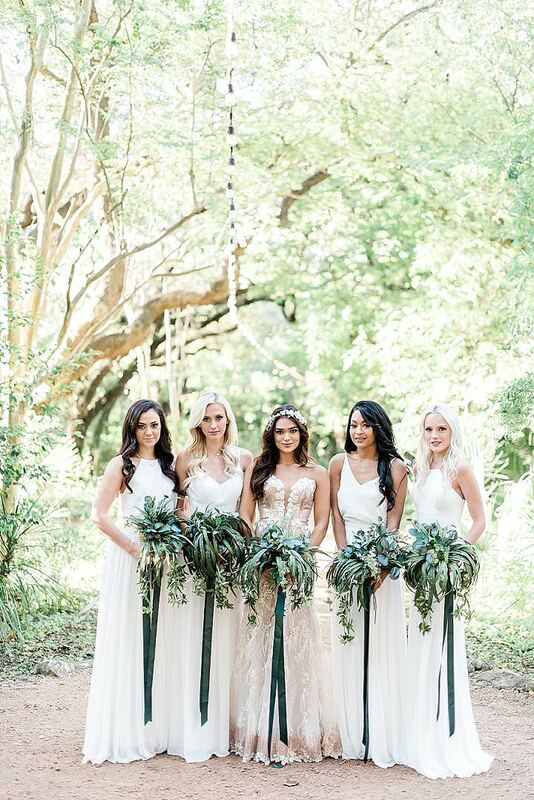 It’s officially Revelry is launching bridal! 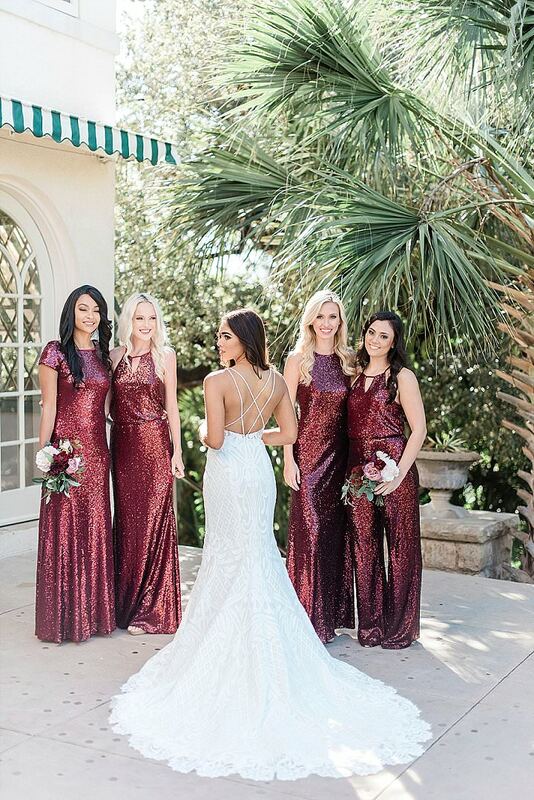 Whether you’re the bride or a bridesbabe, when it comes to picking the perfect dress for a wedding, there’s a lot that goes into it — finding the most flattering fit, loving the feel of the fabric on your skin, and selecting a style that will let you get down on the dance floor. 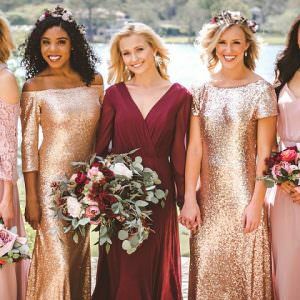 From the beginning, we’ve been in love with Austin-based e-commerce bridesmaid boutique, Revelry, for that reason: The dresses and separates are affordable, fun, and oh-so Instagrammable — not to mention totally conducive to dropping it low. 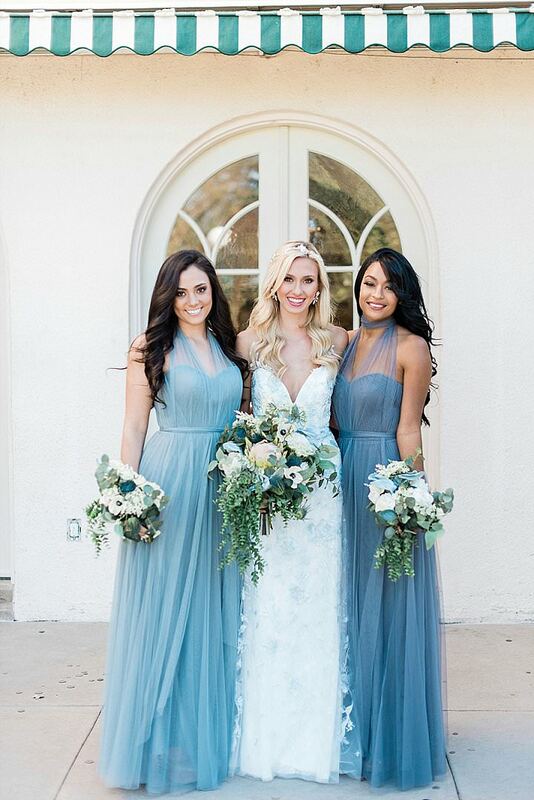 realized that creating apparel for special events was her calling. 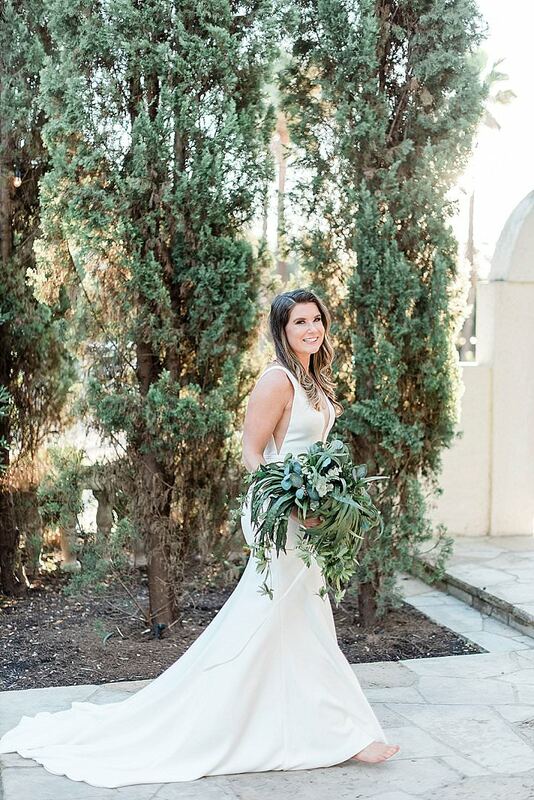 After revolutionizing the wedding industry and ending up on alllll of our Pinterest boards thanks to her tulle skirts and off-the-shoulder styles (hellooooo, Palm Springs goals ), she’s decided to shake up yet another aspect of the wedding world. What can we say? Our girl is on a MISSION. 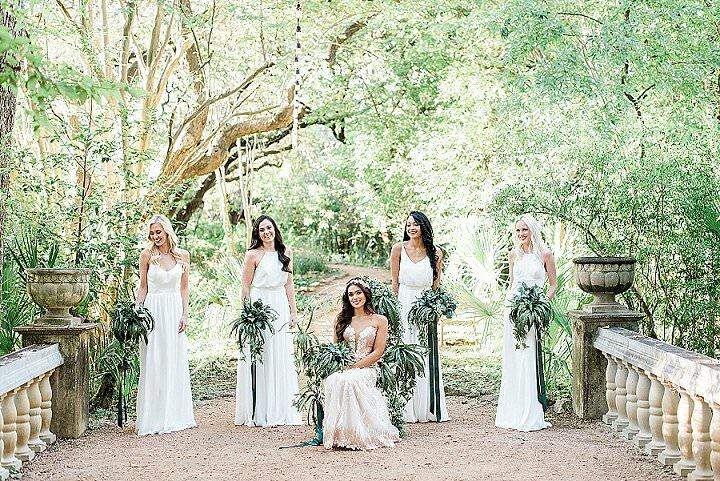 It’s officially offish: Revelry is launching bridal! 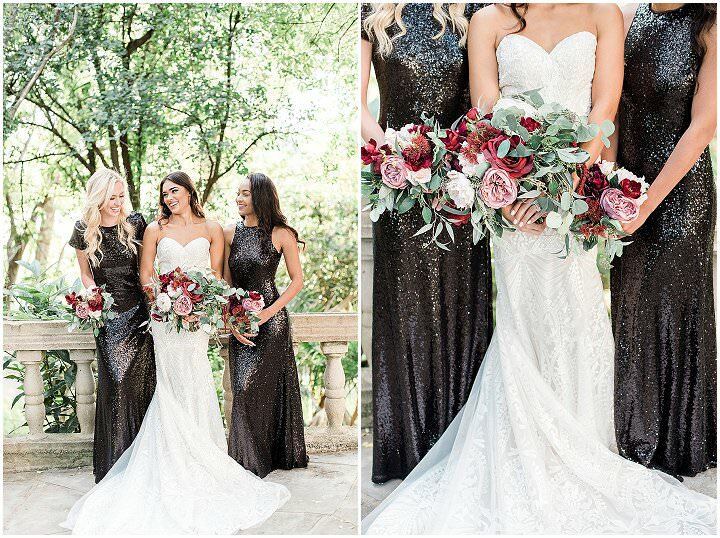 finding your dream dress is. 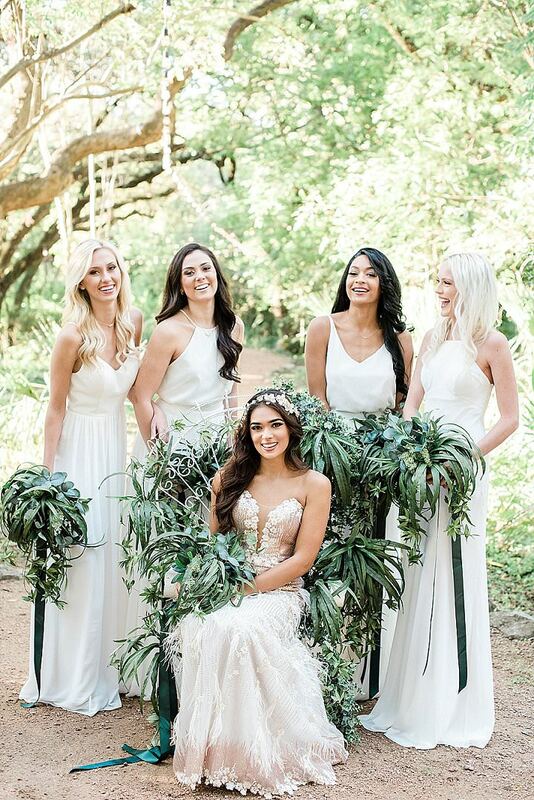 More than that, she knows that every bride is unique, and she wanted her line to not only reflect that, but to celebrate it! Revelry’s launching line of 26 (that’s right — 26!) 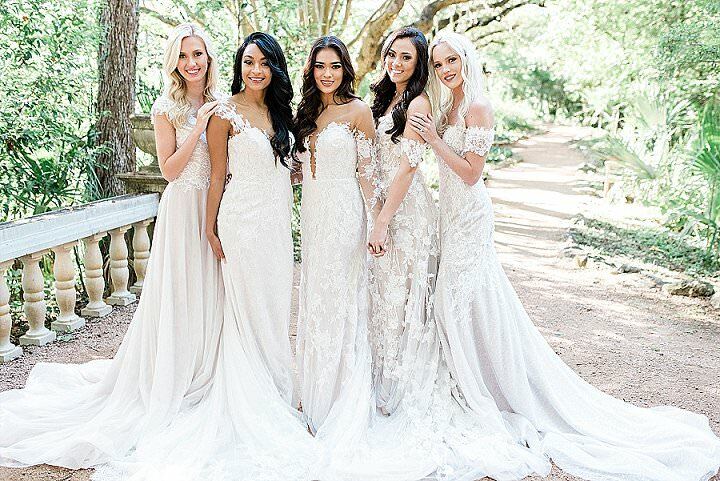 wedding dresses range from classic silhouettes to trendy cuts, with a gown that’s truly for everyone. 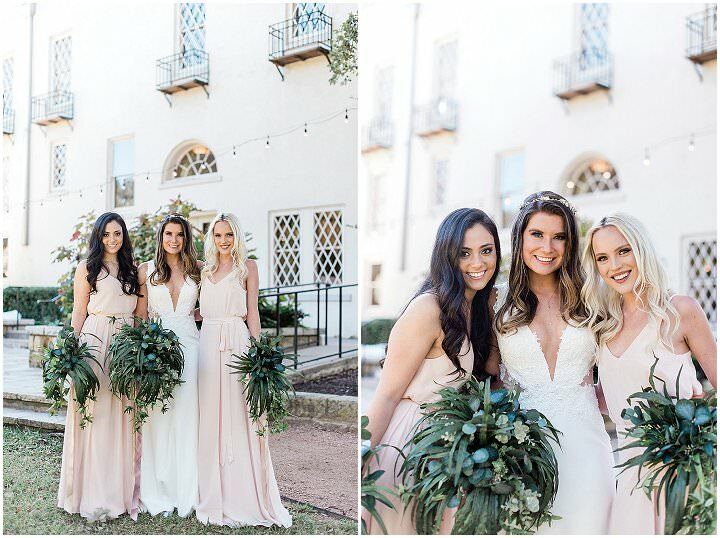 And with a jaw-dropping price range of $850-$2250, Revelry manages to cut the costs you would pay at a traditional boutique by selling their designer dresses directly to you. 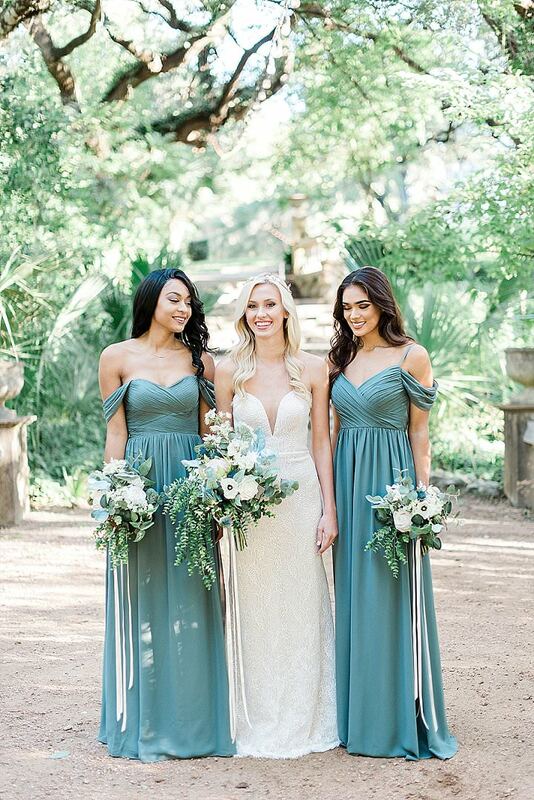 Whether you’re eyeing art deco details, sleek sheaths, magnificent mermaids, or something bold and boho, Revelry created a gown JUST for you. 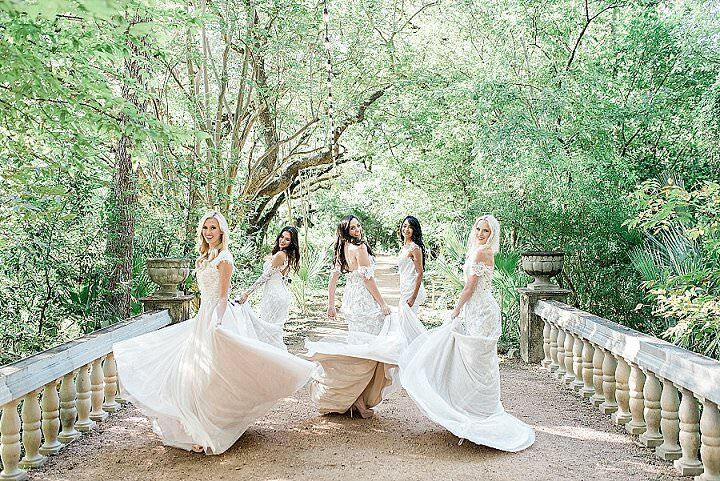 But it’s not even just her wide array of stunning styles that has us spellbound. From the start, Michelle’s pushed for Revelry to be inclusive, offering a wide range of sizes as well as height options. 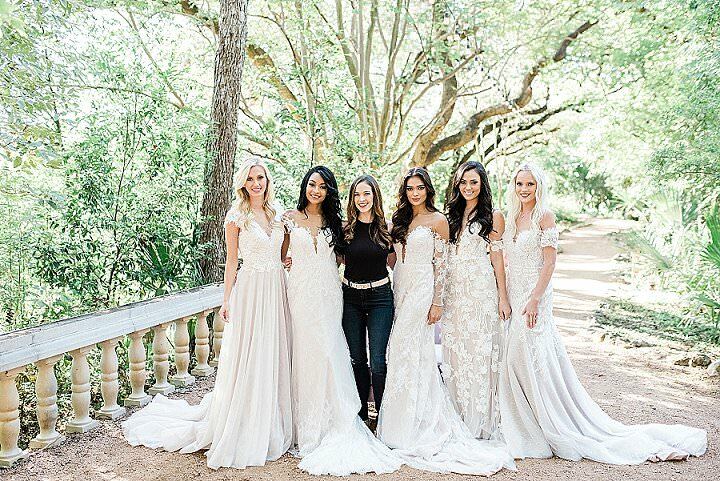 When she was creating her bridal line, that same vision was at the forefront of her designs. 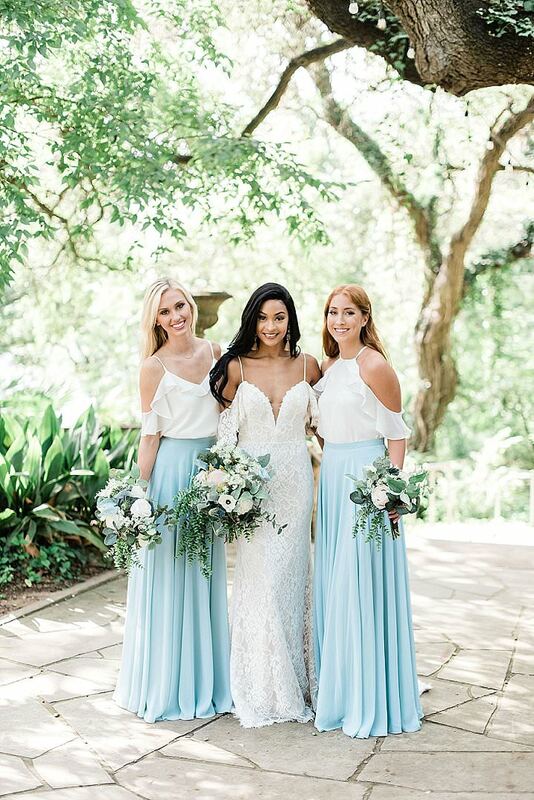 Offering sizes 0-24, as well as two different height options, getting a wedding gown in your size has never been so simple, affordable, and, well, fun. 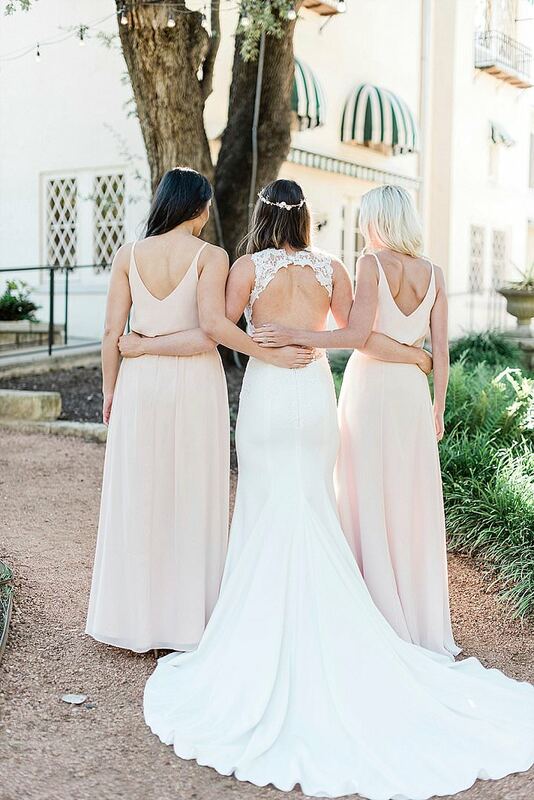 Just like Revelry’s bridesmaid line, Revelry Bridal offers samples to try on in the comfort of your home. 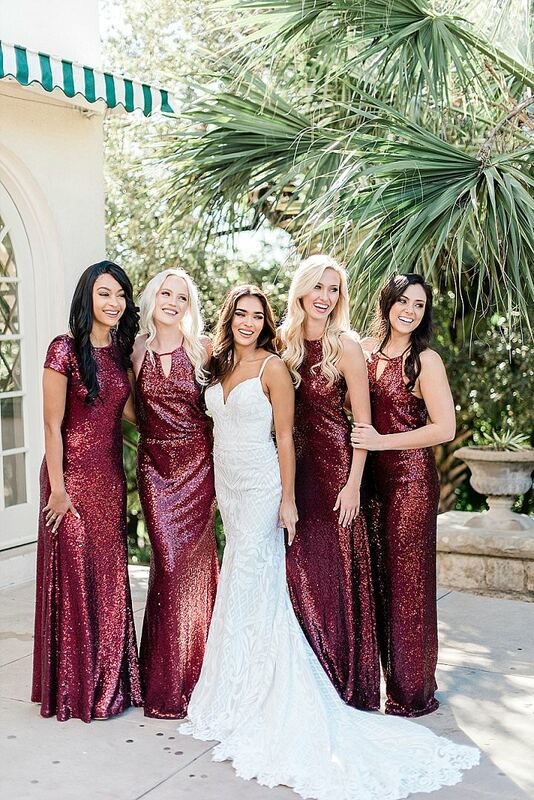 No stuffy dressing rooms, no pushy sales people — just you, your gals, your favorite gowns, and maybe a bottle of Champagne (or two)! 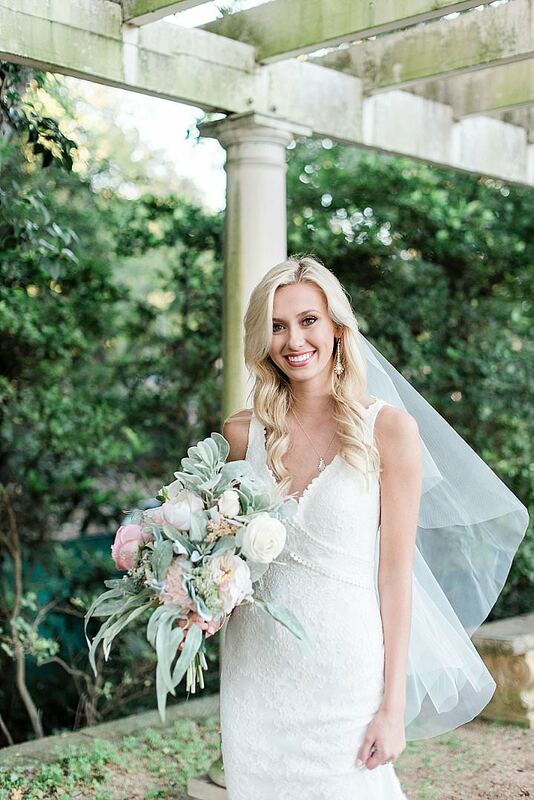 More than that, when you order a bridal sample, you’ll be able to try on a dress in YOUR size and in the color lining you want. No more of this “trying a dress on in 10 sizes too big or 4 sizes too small” thing that we’ve grown accustomed to in boutiques. 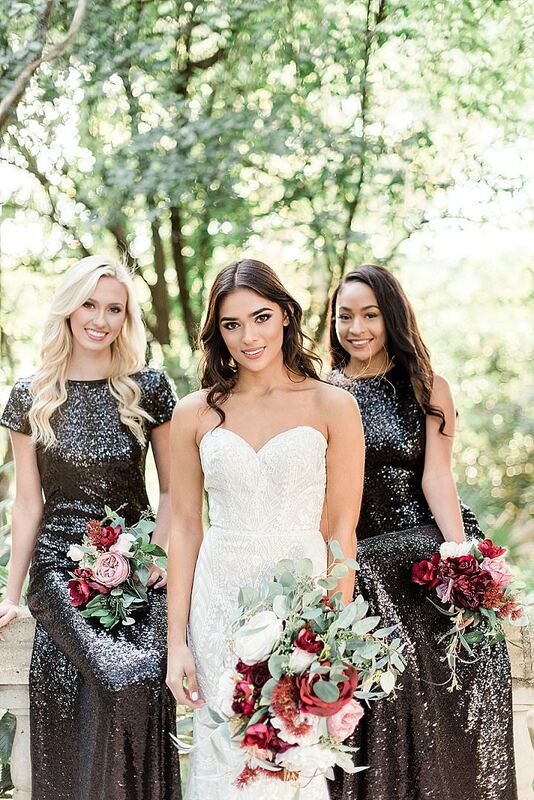 Revelry’s taking the guesswork out of finding your perfect fit, size, and color by sending Sample Boxes filled with everything you need to say “yes!” With measuring tapes, fabric and skin tone illusion swatches, as well as plenty of information and your samples in your size, you’ll be more equipped than ever to find your dress, without ever having to leave your house. 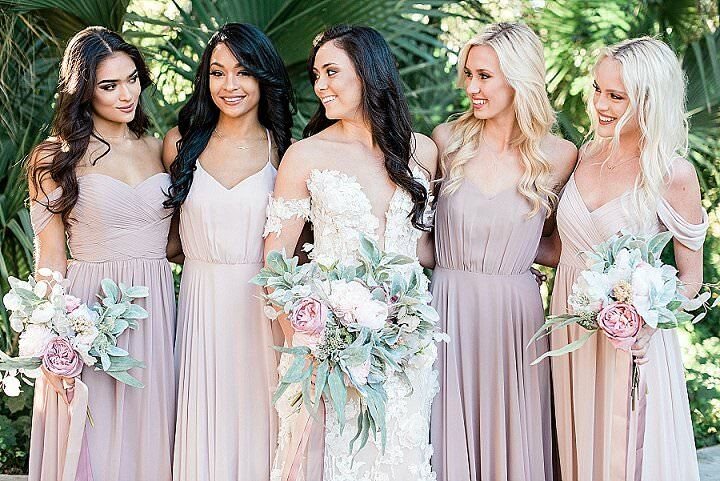 Plus, with Revelry’s ever-popular bridesmaid styles, you and your girls can order your samples together to find the most complimentary looks! 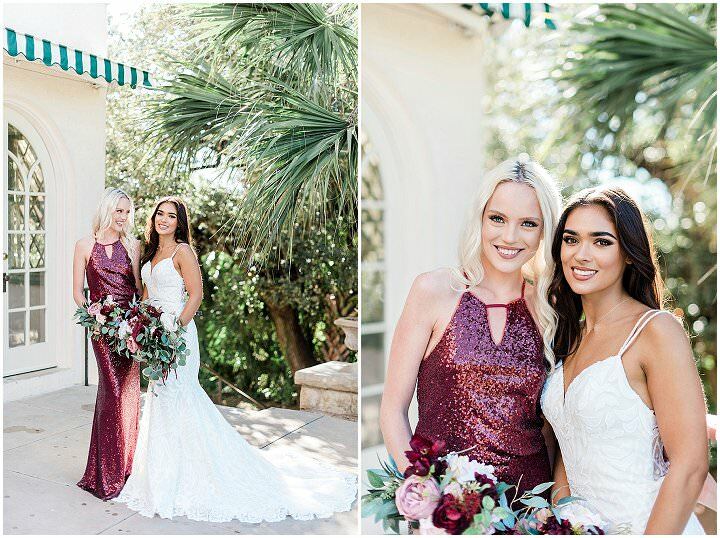 Whether you throw a Try-On Party complete with a theme and decorations, or you keep it low key by having some wine and conferencing in your mom, Revelry gives you the chance to make the entire process your own. 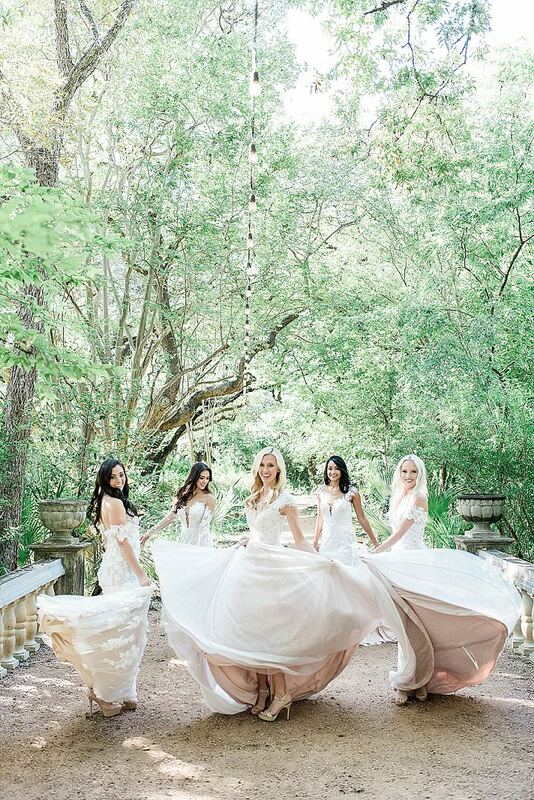 One of the most exciting aspects of Revelry’s bridal line, however, is the one that will be perfectly hidden! 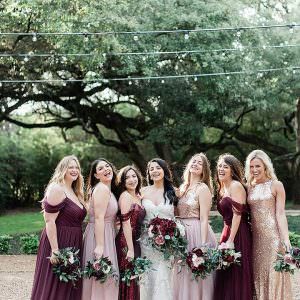 In line with her dream of celebrating brides and babes with different shapes and sizes, she wanted to take the party to the next step. 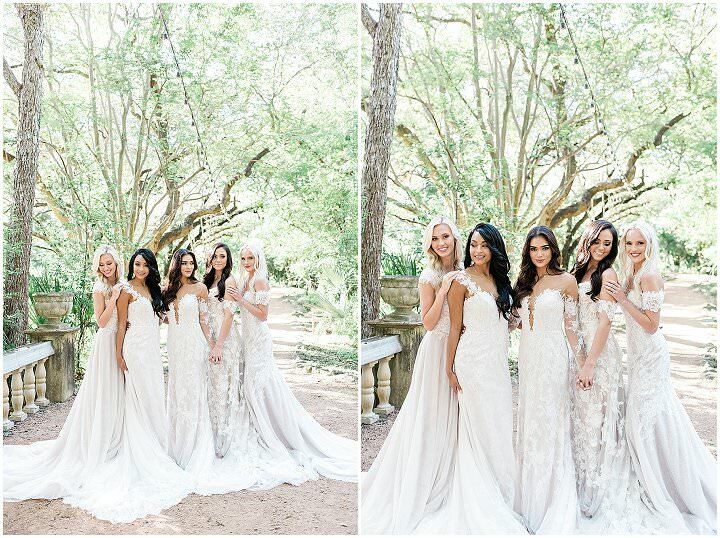 That’s why Revelry is offering 5 skin tone options for the illusion details on their gowns. 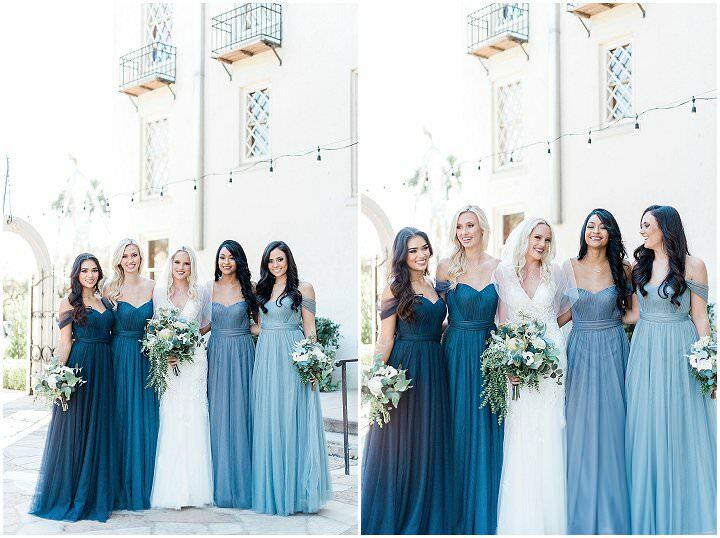 When ordering your gown, in addition to selecting the size, length (standard and a tall option), and lining color, you’ll also select an illusion color. 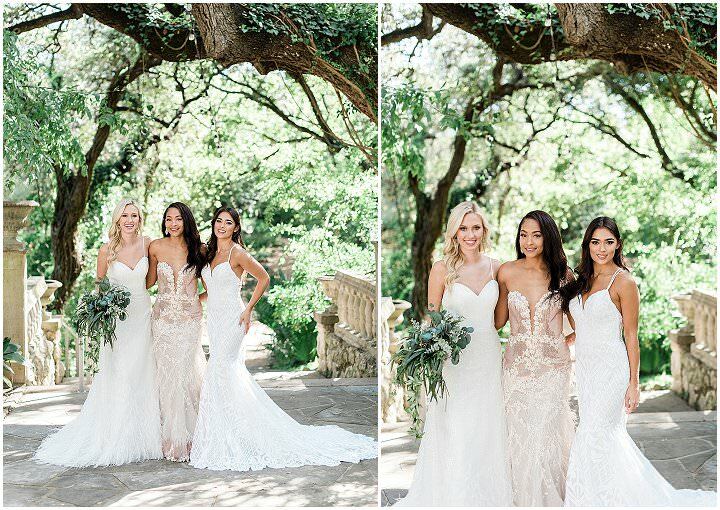 Because when it comes to finding the perfect dress, Michelle knows that the beauty is in the details — especially the ones you can’t see! 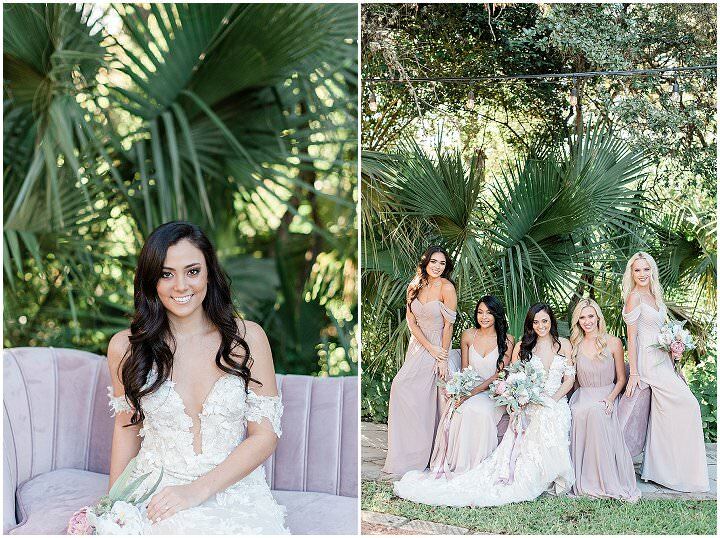 There’s so much to celebrate with the launch of Revelry Bridal, and the fun-loving female team wants to do everything they can to ensure you have not only the best wedding day, but the best time along the way. 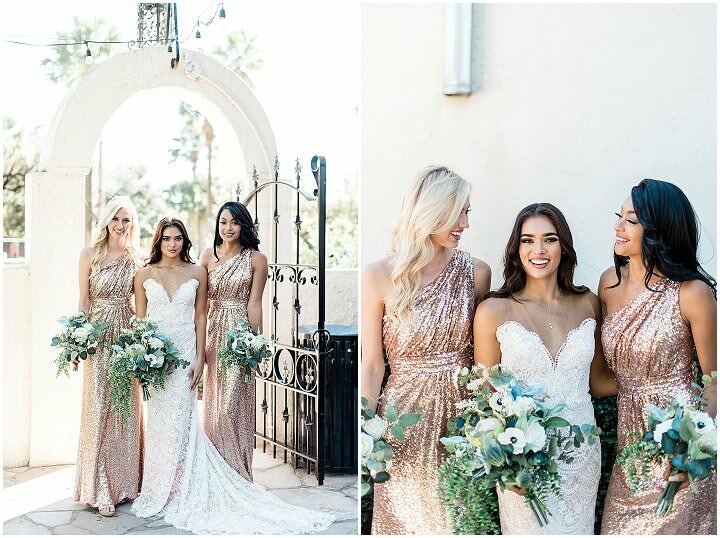 With personal stylists consultations that are just a phone call away, a thriving Facebook group dedicated to answering brides’ and babes’ questions, and a founder who believes that finding your dress (on your terms, your way, and on your time) is half the fun, this brand is truly as boldly beautiful on the inside as their dresses are on the outside. 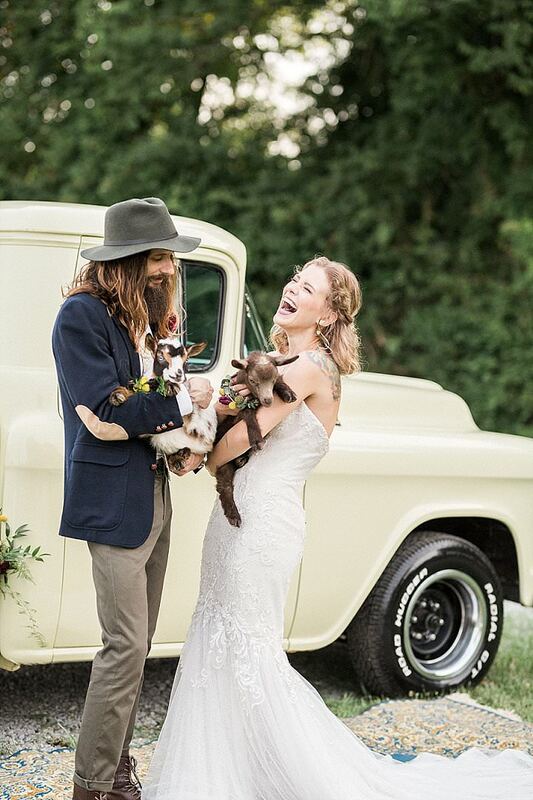 So, grab your gals, pop some bubbles, and get ready to order the most b-e-a-utiful bohemian bridal and bridesbabe dresses around. 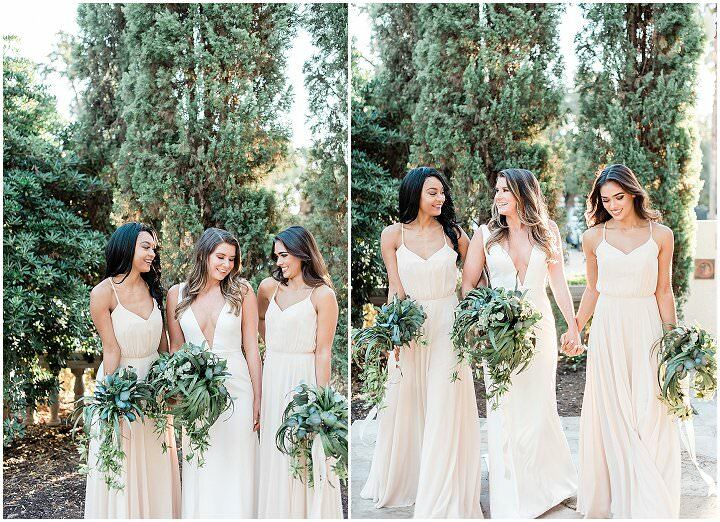 Because finding your “forever” dress just got a whole. lot. better.